The Scottish Secular Society thinks parents should be opting in to their children attending church services rather than opting out. 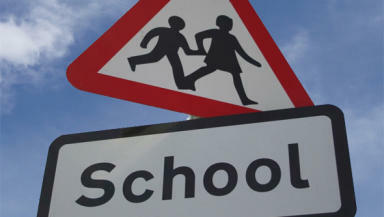 A petition has been lodged at the Scottish Parliament calling for a change in the law around religious observance in schools. The Scottish Secular Society said parents should be opting in to allow their children to attend school church services or religious assemblies, rather than opting out. The group gave evidence at the parliament on Tuesday, saying the current law is unfair and singles out those who opt out of religious observance. Mark Gordon, from Inverclyde, said his daughter was left with nothing to do when he opted to take her out of events like prayer during assembly. The Public Petitions Committee will now invite teachers, religious groups, students and parents to give evidence on the subject.